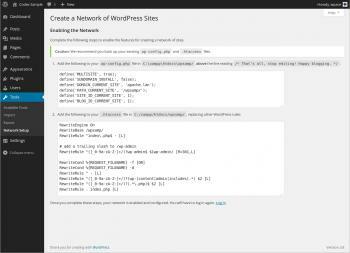 Let's say that you succesfully installed and basically configured your Wordpress Multisite - kudos! - and let's take a look at what it will require to actually put it to work as you intended. You surely have seen many a plugin, extension or widget - within the seeminlgy neverending choice offered by Wordpress marketplace - that you you think would perfectly fit the bill for this or that function. There are indeed many valuable extensions that can help you get started with an e-commerce or content network, but they will all require paid-for extra development to match your original vision, if at all. To make it all work by yourself, you will need solid coding skills and IT experience, and browse though the online manual for WordPress aka WordPress Codex. 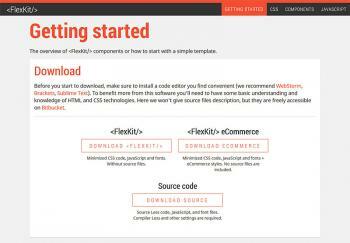 There is tons of documentation there for you to read, albeit no specific API for WP Multisite. So long for that, and good luck sorting through the 500.000+ posts mentioning the word "multisite"! Fortunately, there are other alternative online resources out there that provide many interesting extensions and while they are not free they will give you a wide choice to pick from. Indeed, Wordpress' biggest asset is not the software, but the many communities that have grown found of it. One of them is WPMUDEV ($39/month for access) where you will find plenty of people ready to help you figuring out what you need. Nonetheless, the only reasonable option left to get started with developing your Multisite network is hiring a dependable, skilled, and hopefully not too expensive Wordpress developer. If you are going with a very large-scale project with international business goals, you also probably have the in-house resources to pull off your own online infrastructure, tailor-made to fit all your needs. In this case, you might want to turn to a world-renowned agency who will probably use WordPress Multisite along with some heavy - and costly - customization. You may also find WordPress Multisite to fit the bill if you intend to have a strong focus on content marketing therefore priveleging blog activity, a heavy production of daily content and the WPMS sub-site/sub-directory framework. But if your multisite website network hovers around the SMB sphere, then WPMS might turn out to be far too general in its approach to setup your network quickly and cost-efficiently. 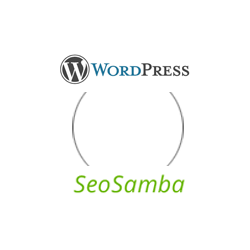 That's where SeoSamba steps in and gives you all the tools necessary to both protect your brand and networked content staying attractive to local website content managers who keep a high level of freedom to customize their own website as they please. By offering a multi-sites framework specially geared for quick development of website networks, SeoSamba simply gives you more bang for your buck, all the while keeping all options open for any extra customization you may require. Need a reliable, dependable and faithful development team?